Logical Chess: Move by Move. Type: BOOKS. Detail: Chernev, I. Product Code: 9780713484649. A famous chess classic with comments after every move. A useful way to understand how to play the opening, middlegame and ending. Having learnt the basic moves, how exactly should a player improve? 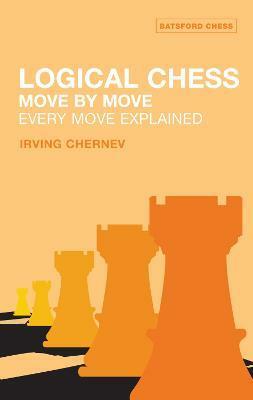 In this much loved classic, Irving Chernev explains 33 complete games in detail, telling the reader the reason for every single move. Playing through these games and explanations gives a real insight into the power of the pieces and how to post them most effectively.